Your business is unique and your current digital marketing staff have specific skill sets to contribute and add excellent value to your business. After interviewing and discussing the specific needs of many finance specific companies with the respective CEOs and marketing directors, we realised a select number of marketing packages had the greatest return on investment (time and money). Below are the top six authority boosting packages which contribute the most to attracting more clients at the lowest possible acquisition costs. These are campaigns which will get you the results you need, but you and the team lack the time and resources to implement. The PR Booster campaign will help you get the media attention you need to get front-of-mind awareness with your target market. Our SEO package is all about evergreen content to help you rank on the front pages of the major search engines. We’ll help come up with lead generation ideas and then draft the complete lead gen assets to attract leads at the lowest possible CPA. One of our specialities is helping craft the perfect multi-step email marketing automation campaigns to attract new clients and campaigns to retain existing clients. YouTube is one of the most powerful marketing channels but only if you take the necessary steps to optimise your channel and turn every video into a lead generation asset. Google Adwords is a powerful tool and the extensions can help boost your CTR immediately. Our extensions optimisations create content to help you get more clicks. Get the media attention that you need to get front of mind awareness with your target market. Get quoted and interviewed by key media channels. The changing media landscape is getting crowded and more competitive by the day. Your challenge is to identify and to get the attention of the overworked and busy journalists. And you also need to come up with interesting, relevant and newsworthy materials that will be picked up by the media. But you don’t have time to do all that when you have hundreds of other things that need your attention during the day. Our PR Booster Campaign package will help you get the media attention you need to get front of mind awareness with your target market. We can help you craft messages that will get you quoted and interviewed by key media channels. You can tap into our network of media contacts across the globe to ensure your message is distributed widely. Bottomline, our PR Campaign will help you establish yourself as an authority in your field, an industry expert and a credible source of information and insights. Click here to discuss your PR campaign. Everyone knows the importance of SEO. But not everyone knows how to do SEO properly. In the finance space, analysts write consistently around current market events and opportunities available in the market right now. The challenge is this content has a lifespan of around 24-48 hours. But the marketing team have to spend just as much time and effort in promoting it as they do with an evergreen piece of content. In most cases, analysts are not as excited about creating evergreen content as the marketing team. Instead of promoting and driving social shares and links to evergreen content, the marketing team are pushing shares to content with a 48-hour maximum lifespan. You have a limited ability to scale your amplification and no chance to leverage the great work being done. With our SEO Content Campaign package, we create content that will help you and your company rank higher for the long-term. Our long-form evergreen contents will help ensure you get the ranking and the eyeballs you deserve. Plus, your social media campaigns can now leverage the content created and get eyeballs for many months, instead of 24-48 hours. The ultimate benefit is more front page listings in the search engines, leading to more organic traffic. More eyeballs in the organic section, positioning you as the authority and delivering more leads at a lower cost. We are flexible around the length and create articles at a minimum of 500 words up to 2,000 words. Click here to discuss your SEO Content campaign. Every business needs new leads and new clients to grow. But the cost of getting new leads and new clients is skyrocketing. At the same time, your prospective clients and target market are getting more savvy and picky when it comes to choosing between you and your competitors. Your challenge is to reach out and attract new leads and client with the most effective and efficient campaigns. You need campaigns that will not only speak to your prospective clients but campaigns that will make it easy for them to pick you instead of your competitor. Our Lead Generation Campaigns are targeted. We design and implement them with your target audience in mind. We use timely/topical issues that matter to your clients and prospective clients. We have found the best strategy is to create multiple, timely lead gen assets which inspire and motivate your target market to take action. Using our Lead Generation Campaign, you can easily measure results and scale them for optimum results. Click here to discuss your Lead Generation campaign. Utilising the power of segmentation with Marketing Automation is becoming more commonplace, but still not at the levels needed to maximise your emails. Your biggest challenge is time. It takes time to plan upcoming email marketing campaigns. It takes time to build a strong multi-part email follow up sequence. It takes time to construct the associated landing pages to support your email campaigns. We love building email marketing campaigns. We love crafting an email sequence which resonates with your target market. We love the idea of crafting an email series to win back dormant clients. Inspiring and motivating old clients who may now be with your competitors is one of the best strategies you can employ. We are here to build the email sequences for you. The Profile Booster team will create ideas around win-back, nurturing and new client emails and then build the multi-part email series for you. 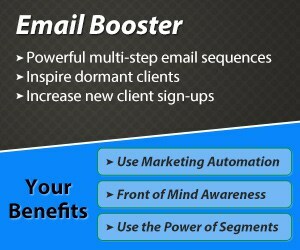 When you lock-in an email sequence campaign with Profile Booster, you can see the results immediately. Open rates, click-through rates and conversions are all very transparent. Click here to discuss your Email campaign. You are no doubt aware of the fact that YouTube is a powerhouse. As the world’s second largest search engine, it pays dividends for you and your team to maximise your opportunities on YouTube. Your challenge isn’t in creating new video content. We see dozens of finance companies with a suite of market analysis videos across their YouTube channel. The challenge is having the time to turn each video into a potential lead generation asset. Your team lacks the time it takes to implement the best practices on every video. This severely limits your ability to maximise the opportunities YouTube presents. 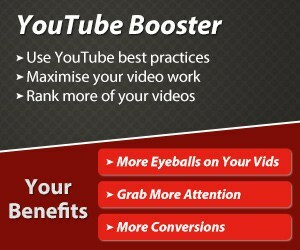 The Profile Booster YouTube package implements best practice on every video you create. This means your videos will utilise all the tools YouTube have made available to content creators. You have likely viewed videos from some of the top YouTube content creators. You will notice a number of common elements across all the best channels. We are the extra pair of hands needed to employ the most important common elements used by the top YouTubers, and turn every video you create into a potential lead generation asset. Click here to discuss your YouTube Optimisation campaign. Increased CTR, higher quality scores and taking ad space away from your competitors are three critical reasons why you must be using Sitelink Extensions in your AdWords campaigns. Your challenge is your AdWords team are not finance content writers. You may have noticed your team aren’t the best placed to write conversion-focused content to maximise the benefits of Sitelink Extensions. As a result, your Click through rate and relevancy of your ads continues to site at average. Also, we are amazed at how few companies use the power of Sitelink Extensions within their current ads. As finance content writers and traders, we understand the needs of everyday traders. Our AdWords content campaign is focused on writing four unique pieces of eye-catching content to grab the attention of your ideal client. Let’s say you are running a Google Adwords campaign focused on trading high dividend yielding stocks. In addition to your ad copy, we’d create four highly focused content pieces with attractive titles to get the click away from your competitors. This is where the magic begins. Your CTR goes up, your relevancy in Google’s eyes skyrockets and your increased quality score means you pay less for each click. Not only that, but we make sure your new content is conversion-focused content, not just content to make up numbers. Now you have four more opportunities per ad group to convert more clicks into active clients. We’d love to open the conversation and find out how we can assist your company to become the authority in your market. We understand your situation may require a more specific solution, so let us have a chat, identify your core objectives and design the appropriate package to help you hit your lead generation and client nurturing goals. Send us an email at info [at] profile booster dot com dot au and one of our team will be in touch with you within 24 hours.